Does this flyer look familiar? Thank you to those who have generously donated! 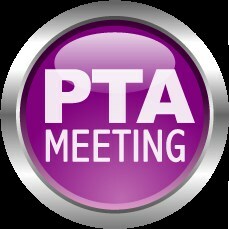 We understand that this is a significant amount of money, and would greatly appreciate any donation so we can continue to help the PTA sponsored programs. We can work out a payment plan if necessary as well! We will also be conducting "Passive Fundraising" throughout the year by way of Dine Outs, Grocery Store rebates and Office Depot rebates. (Please ask the stores you frequent if they have a "give back" option to local schools....every penny helps!) Speaking of stores and businesses, are you a business owner? If you do, please let us know! 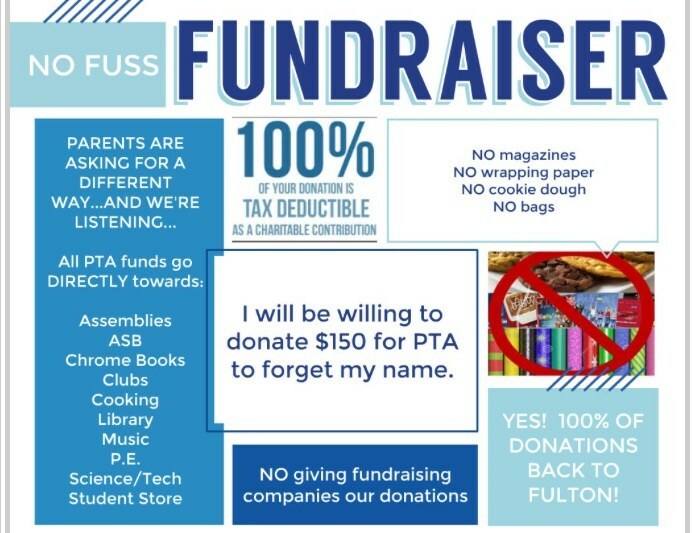 We'd be thrilled to support our Falcon parents! Shelby Mirrotto at FultonPTApresident@gmail.com if you have any questions. 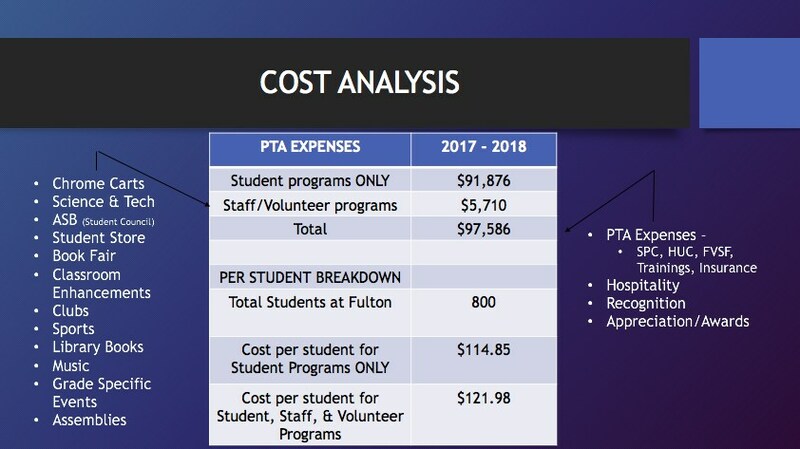 Your Fulton PTA is already hard at work to continue supporting our school and students! 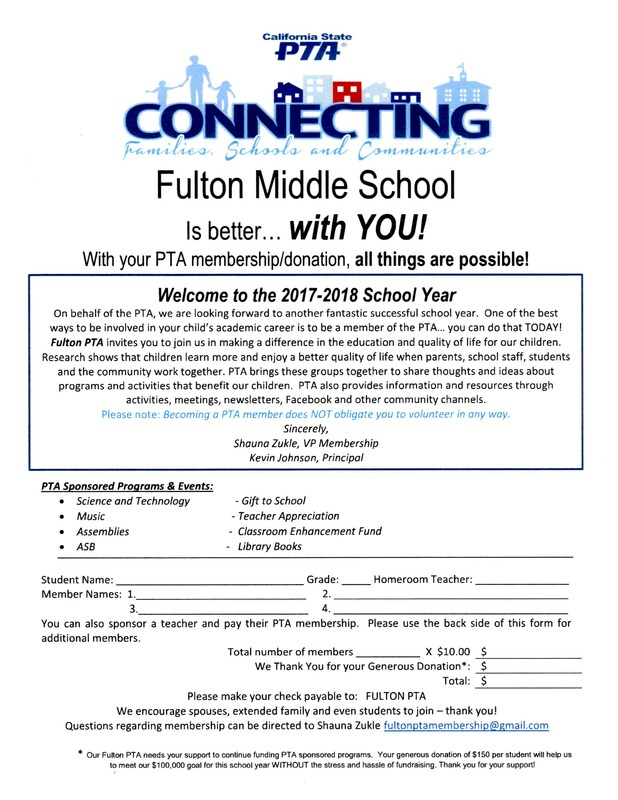 Join the Fulton PTA Today! Our school participates in the Box Tops for Education program. Each Box Top is worth 10 cents for our school. Please turn them in to the front office in the collection box provided.